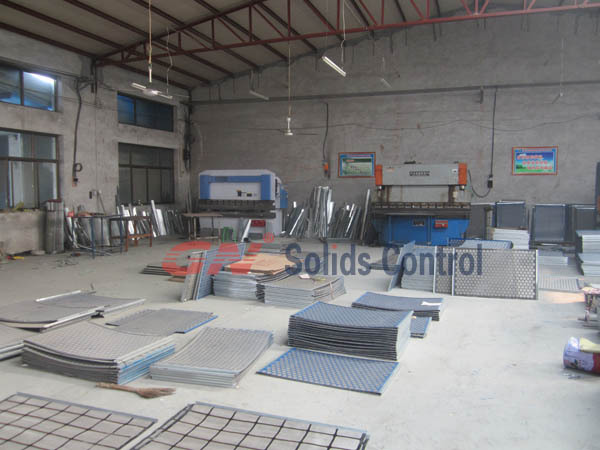 GN Solids Control is the first API & ISO certified solids control supplier in China, also the first one who manufactured shaker screens by self. Most users of shaker screen and supplier of shale shaker may know more on shaker screen like the wiring technology and how to use shaker screen to increase the solids control efficiency. As a pioneer of shaker screen supplier in China, GN Shaker Screen (sub-brand of GN Solids Control) is going to change all GN's pretensioned steel frame type screens to composite material screen, which will improve the efficiency and lower the drilling cost at the same time. Nower days, the main GN Solids Control shale shakers are GNZS752, GNZS703 and GNZS594. All are pretensioned / steal frame screens. The model GNZS594 can also use composite material screens. 3. Different wiring technology, that is why GN Solids Control is working on API RP 13C.